Be it, girls or boys, we all face the problem of acne, rosacea or others. This situation was not that worst even in the previous decades. But now foods that we eat are full of problematic elements. In this busy life grabbing chocolate cake is way easier than making a healthy smoothie at home. These things cause skin problems. But many studies say that probiotics take a vital role in keeping our skin better than ever. So here are six skin conditions that can be helped by probiotics. 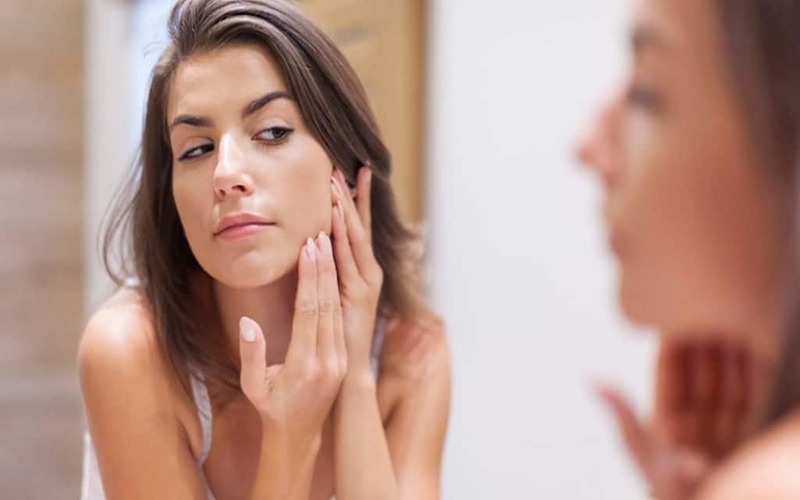 Individual researches have been done in Russia, Italy, and Korea to see whether if probiotics help fighting acne. The studies show that with a stable skin care routine and probiotic food the acne went away. But people with severe acne have to go through anti-biotic. They also could fight it by taking probiotics with antibiotics. Lactobacillus is great bacteria for aiding acne treatment for people. You can even apply probiotic-rich foods directly to your acne-troubled area. It will kill the bacterias that were in a pimple and make a habitate of good bacteria. It is a great shield so that good bacterias can grow there. Eczema is the worst kind of skin problem. It annoys and embarrasses people everywhere. Some researchers claim that pregnant women should take probiotics for two to four weeks. This reduces the risk of having eczema in newborn babies. They should continue the probiotic after giving birth when they are breastfeeding. It should be done mostly for the families that have the previous history of eczema in their family. Newborn babies are prone to rashes and probiotic for skin rashes works amazingly. The redness that we see in people’s faces is mostly caused by inflammation. It usually affects the nose, cheeks, and forehead. Probiotics can control the flare-up by eliminating those bacteria that are causing inflammation. Probiotics will strengthen your skin barrier and reduce the stinging and itching. Rosacea can also attack you for having dairy products in your diet. Try taking fermented dairy foods which have lactobacillus. They are perfect for our gut and helps to remove inflammation. As skin rash is caused by inflammation probiotic for skin rashes is also a great choice. Probiotic has the possibility to become a big anti-aging helper. In Korea, there are already a lot of companies that have their fair share of fermented skincare products. Those products claim to have brightening effects as well as anti-aging effects for the younger looking skin. But the claims need more research still. One of the most frustrating skin diseases is psoriasis. Patients have to maintain a strict routine for everything and even after that, they cannot be cured wholly. This disease is mostly caused by leaky gut. Leaky gut means the leak in your stomach wall. It is terrible for your health because it cannot protect your stomach from getting bad bacteria in. A condition which makes the colon unable to absorb nutrition. If you take probiotic regularly with healthy vegetables, then you will be able to heal the gut. A healed gut is the key to cure psoriasis in the body. It is another skin-related disease that can be cured by taking probiotics. Seborrheic dermatitis happens to us because of yeast overgrowth in our body. Probiotics can kill those yeast and bad bacteria. The good bacteria make a colony there and protect the colon. There are many more benefits that probiotics can do to your skin. The increased amount of some specific bacteria can protect your skin from sun damage. It can make a protective barrier on the healthy skin that helps to lock the moisture in. These also help to decrease fine lines and appearance of wrinkles as well.